A brain therapy game to recover cognitive, fine and gross motor skills. And displays these metrics on an easy to read dashboard. A brain therapy workbook to help recover gross motor skills. 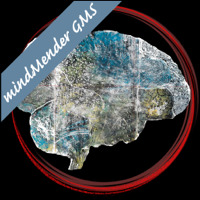 mindMender GMS is an electronic exercise book on the iPad designed to recover and learn gross motor skills. The user uses their finger tip or iPad stylus to trace the shapes on the iPad. As the user traces the shapes data is collected about how well they stayed inside the shape. The data is displayed on a graph for the user to see how they have progressed over time. This app can be useful for early learning development and stroke or TBI motor skill recovery. Copyright © 2013 Michael D. Zachry. All rights reserved.